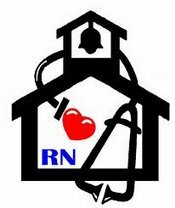 The goal of our school nurses is to promote and protect the health of our students through assessment, planning, coordination of services, and direct care for all of our students. We work to prevent and control communicable diseases and other health problems, provide emergency care for ill or injured students, and provide daily services for children with special health care needs. We give direct daily care for students with asthma, allergies, cancer, diabetes, seizures, and psychiatric conditions so that they can access their education. We also train the educational staff to make accommodations to provide this instructions to these students. We provide health screenings for our students to help identify medical conditions that may negatively impact learning. VAKs is a company owned and operated by a local group of pediatricians who provide students in our School System with Flu Vaccine. No student is vaccinated without written consent from his/her parent. The vaccine is administered by licensed nurses. There is no out of pocket cost to parents. If you your child does not have insurance, he/she may still receive the vaccine free of charge. Flu Clinic Schedule: http://data.madisoncity.k12.al.us/documents/Health/2018%20VAKs%20Flu%20Clinics.pdf Please note: Only the start time of the first school of the day is definite. Other times are approximate.